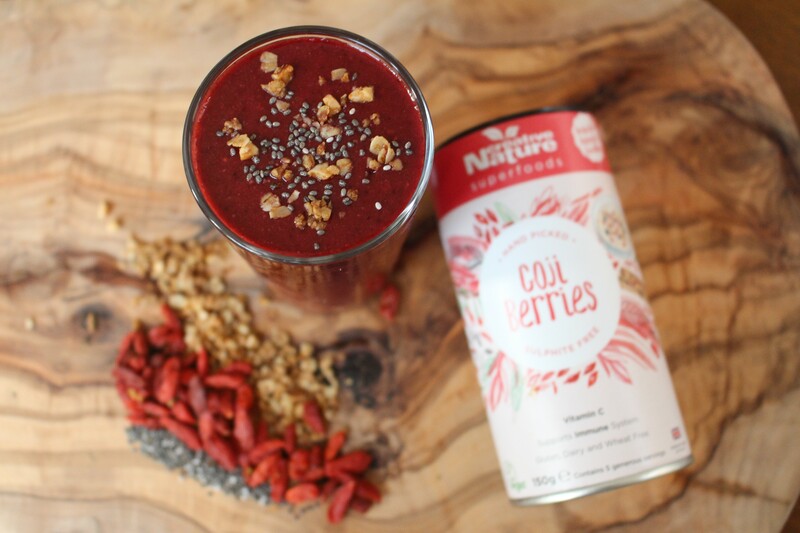 Goji berries are the ultimate superfood and pairing them with chia seeds makes this recipe all the more nutritious. Goji berries have a rich source of antioxidants, high content of vitamin A and C, and surprisingly high source of protein. This smoothie is incredibly refreshing for this summer heat wave and makes a great pre or post workout snack. It’ll keep you energized through all those difficult HIIT sessions. Peel lime and cut into pieces. Add all remaining ingredients into high powered blender and blend until it comes to a smooth consistency.